There were a number of reasons for the thoroughness of the investigations – control of unwelcome public interest, national security and scientific curiosity. Several dozen witnesses were interviewed for a number of reports associated with the Wewak sightings, including Commonwealth Police, WRE staff, armed forces personnel, a ‘native patrol officer’ and members of the public. At the time of this report tests were underway at sites within the WPA, and WRE was also developing a space program at the Woomera Rocket Range. 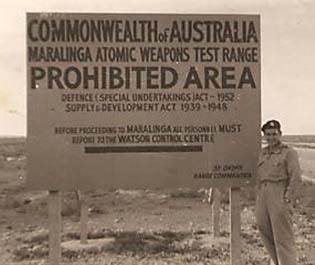 From 1952 to 1963 the British Government, with the agreement and support of Australia, conducted nuclear tests at three sites in Australia – the Montebello Islands off the coast of Western Australia and at Emu Field and Maralinga in South Australia. UFO sightings became common during the Cold War (1945–90) against a background of political and military tensions between the Soviet Union and the United States and its allies. The anxiety and paranoia generated by espionage, weapons and satellite tests found expression in Hollywood science fiction films depicting humanity under attack from hostile aliens determined to destroy the American way of life. Scientific experts who were consulted for this and other reports on the Wewak sightings offered a range of explanations for the phenomena, ranging from flying saucers and satellite cones to a meteor, the effects of static electricity on the weather balloons at Wewak, and a ‘reflection of distant vehicle lights on a low inversion layer’. Evidence from countries worldwide having Ufos monitoring their nuclear weapons installations, deactivating and destroying nuclears warheads. Are nukes the real reason behind the secrecy on the Ufo phenomenon?